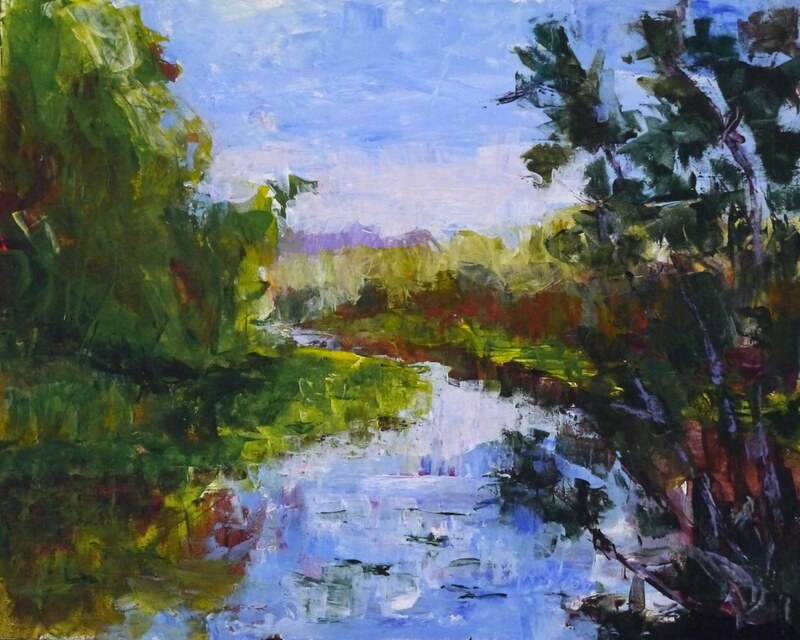 This bend on the Sammamish River has become my favorite painting spot this summer. It is close by my home on a side entrance to Marymoor Park. I painted this on a little shaded dock where people launch their kayaks. Inevitably there will be a couple of people fishing on the dock as well. I don't think I've ever felt more calm than when painting here. I am doing a large studio painting of this scene﻿, and will try to enter that into a show. Wish me luck! Oh, and apologies for delayed painting posts. I *have* been painting, just haven't had much time to properly photograph them.